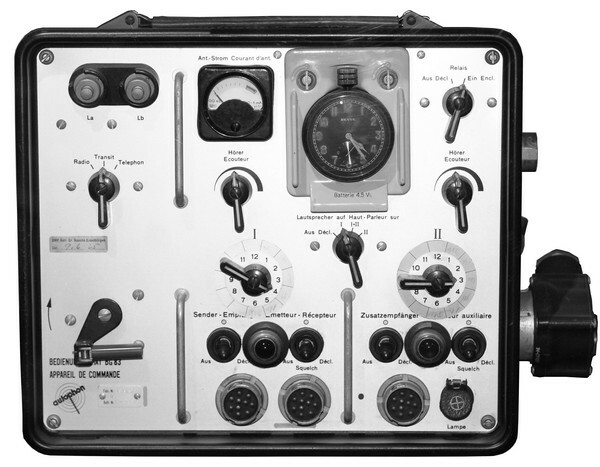 In the year 1953, Autophon got the order to develop a military vehicle station, the SE-407/SE-411 was introduced in 1957/63 with the troops. 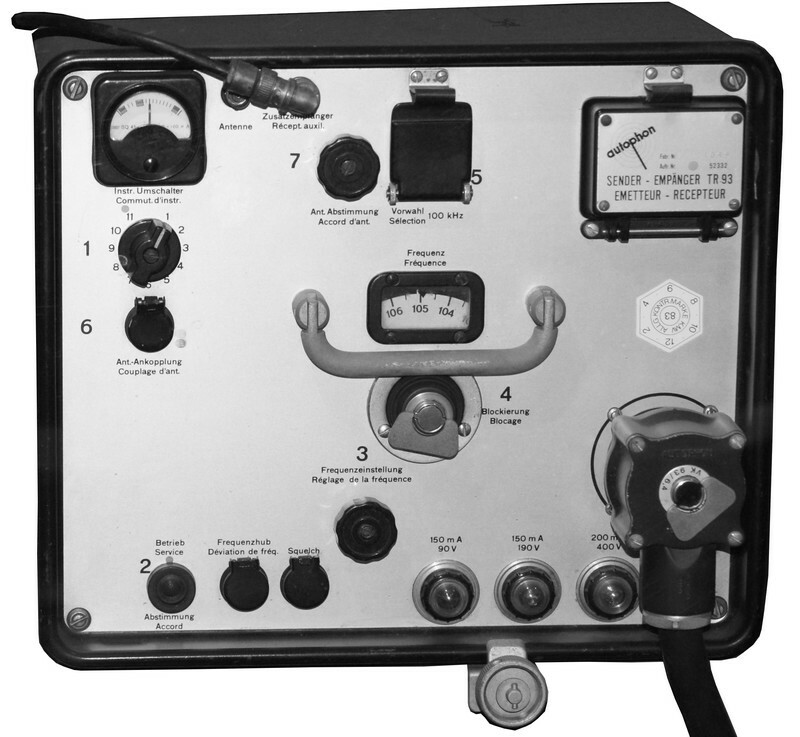 Based on their design, Autophon constructed the VHF aeronautical ground station SE-410 in 1956, the transceiver und auxiliary receiver were adapted to the air traffic VHF frequency band, the power supply and the control unit are very similar to tha one of the SE-407. The Swiss Air Force purchased 35 sets of the SE-410. 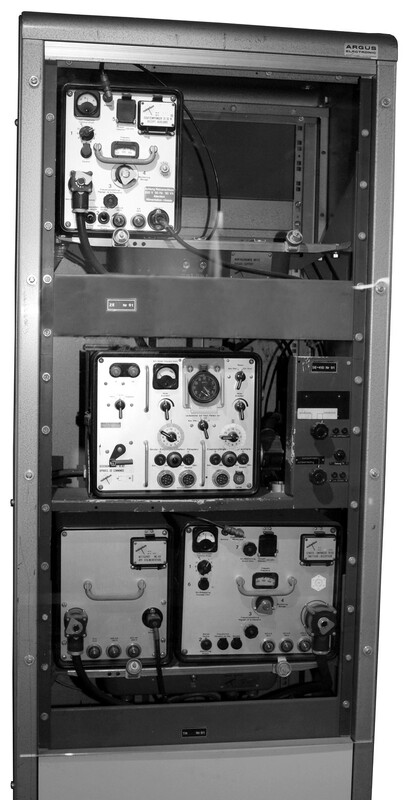 The station has been in use as fixed ground station (in a rack) (SE-410/f), as mobile ground station SE-410/m in a Dodge CC and a Mowag Fliegereinsatzwagen (FlEiw) and as SE-410/t portable use. 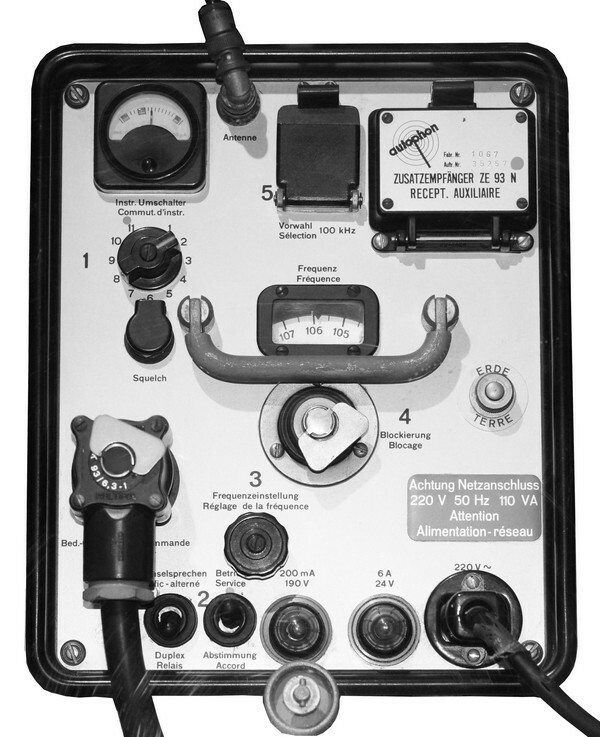 The aeronautical ground station SE-410 covers the 100 - 116 MHz VHF range with 161 channels and consists of the Transceiver / Sendeempfänger TR 93, Auxiliary Receiver / Zusatzempfänger ZE 93E and	the power supply / Speisegerät SG 93 or Netzgerät / mains power supply NG 93. The transceiver TR 93's dimensions are 302 x 260 x 340 mm and it's weight 23,2 kg. In the transmitter section of the modular construction, the signal of the common oscillator is fed through an amplifier and exciter stage to the two final valves in a push-pull arrrangement, the antenna is fed through a variable coupler and antenna tuner. The auxiliary receiver ZE 93E is technically identical to the receiver section of the TR 93, the cabinet is a bit smaller with 212 x 260 x 340 mm and it's weight is "only" 21,1 kg. The auxiliary receiver is used to monitor a second (e.g. a call channel) while traffic is made on another operation channel. A core component of the whole transceiver and the receiver is the so-called "Instantuner", where the oscillator signals for the channels with 100 kHz channel spacing are generated and in which twelve frequencies can be programmed mechanically. The pre-programmed channels can be recalled from the control unit, You can also select whether You want to hear the signal	of the main or the auxiliary receiver or the local intercom in the headphones. 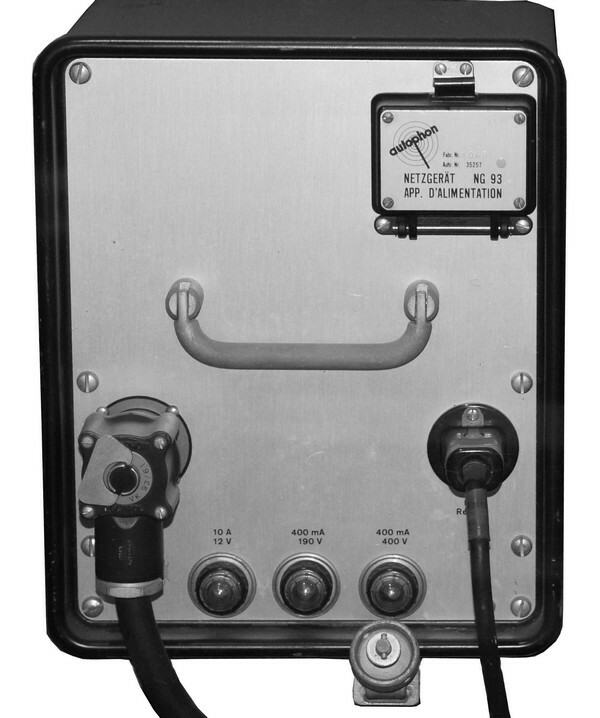 From a remote control set, the station can be controlled over field telephone lines. All other acessories, beginning with the external speaker LS 83, the typical Swiss Army microtel (like a telephone handset) to a headgear with headphones and throat microphone to be used in noisy surroundings are compatible with the SE-407 made by Autophon. The station is displayed at the Swiss Air Force museum at Dubendorf.